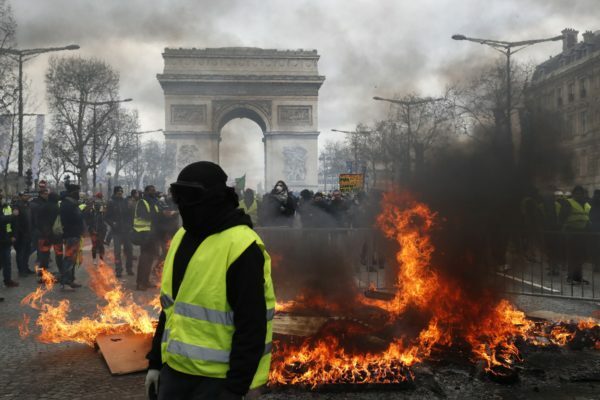 Paris – After weeks of declining participation, France’s “yellow vest” protest movement attempted to rebound on Saturday with a major rally in Paris which quickly turned violent. The organisers of Saturday’s protest presented it as an “ultimatum” to Macron, prompting fears of a return to the violence that characterised earlier rallies. He also launched a “grand national debate” on the internet and town hall meetings to gather opinions on how the country could be reformed. “We have been patient but now we want results,” he said. The protest is one of several planned in Paris on Saturday, where French climate campaigners are also planning a “March of The Century”.